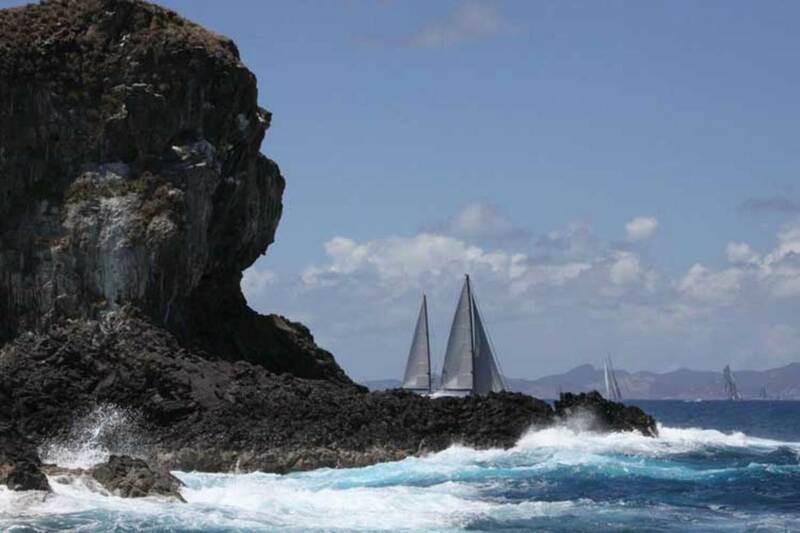 &apos;Limo racing’ gets a low-key tune-up at the 2015 St. Barth’s Bucket. 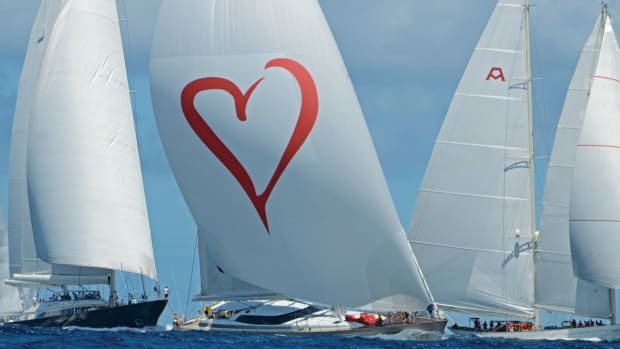 The 2015 St. Barth’s Bucket regatta appeared as it has for the 19 that preceded it: a fleet of some of the world’s most beautiful sailing superyachts making tracks in the trade winds around one of the prettiest islands in the Caribbean. In the background, though, the winds of change were transforming this grand dame of regattas into a safer, better-organized event. The changes were subtle, but by many accounts, they had the desired effect without watering down the joie de vivre that has defined the event since its inception. 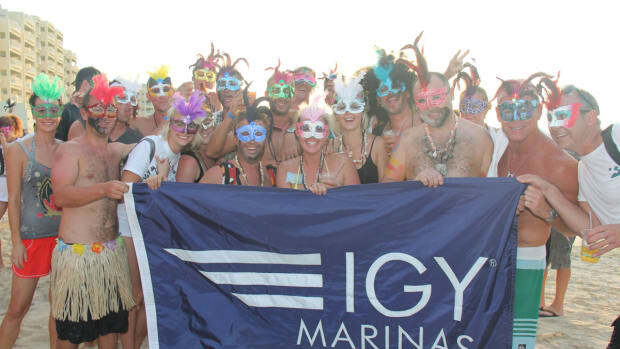 The announcement raised some eyebrows because of the shift in control to commercial entities, but at the conclusion of this year’s regatta, it appeared the moves were well received. 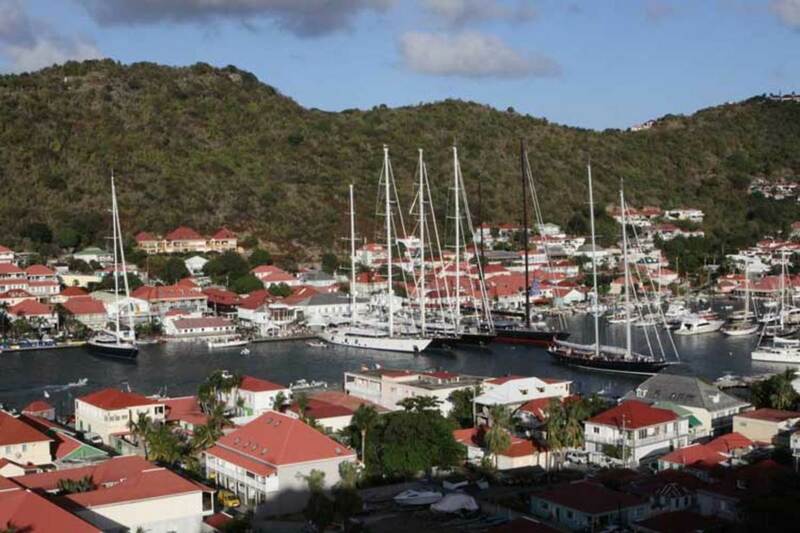 Gustavia is home base for the Bucket, although many competitors anchored off this year. The previous team, led by Tim Laughridge, Ian Craddock and Hank Halsted, managed the festivities for more than a decade. 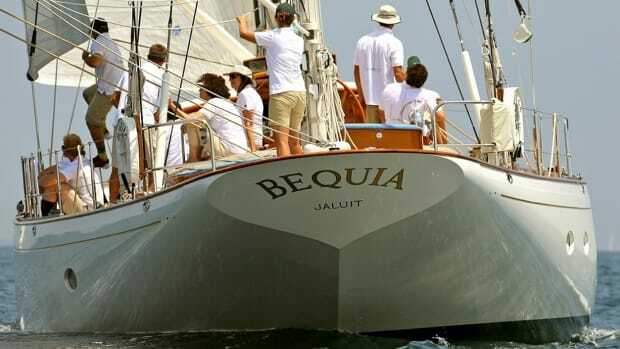 Craddock and Laughridge were part of the event’s origins in Nantucket in 1986, when, as the story goes, four owners having some sailorly fun in a bar decided to race their yachts the next day for bragging rights. Deciding they needed a trophy, they grabbed a chardonnay bucket from the bar, and the rest is racing history. The Nantucket Bucket shifted its summer venue to Newport in 2001. 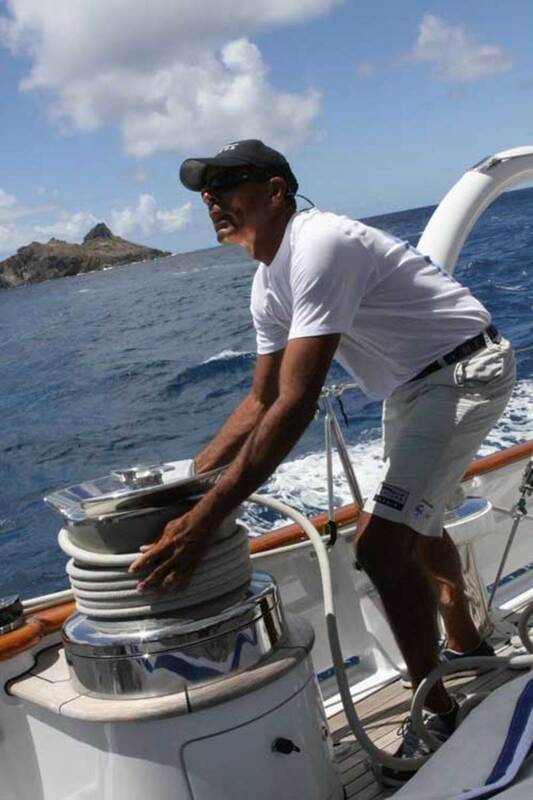 The first St. Barth’s Bucket was sailed in 1995 with four boats. Thirty-five competed this year. 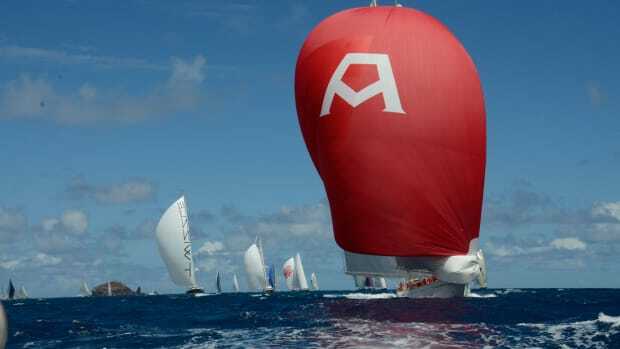 The Bucket has spawned and nurtured a growing number of superyacht regattas in the Atlantic and the Med. Many owners of large cruising yachts, it seems, are hungry to do something besides anchor off and sip cocktails. 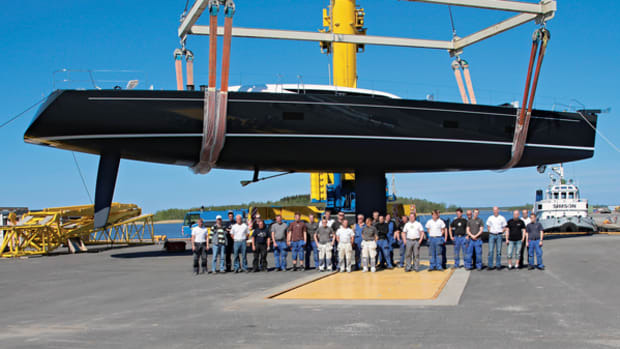 The success of these regattas also has influenced yacht design as more owners make racing a part of their itineraries. The challenge all along has been how to make the racing fair and safe. Rocks add scenic appeal and tactical challenges to the racing, but provide obvious hazards. 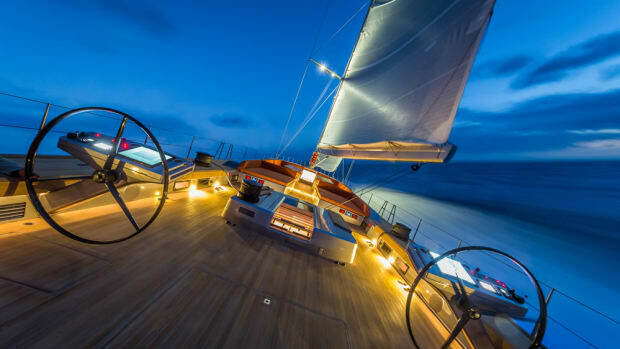 Throughout the history of yacht racing, handicapping boats of different designs has been a bugaboo resulting in copious howling before, during and after races. A typical Bucket fleet is about as diverse as it gets. The common denominator is that the boats are big: The smallest in the 2015 St. Barth’s regatta was 79 feet (24 meters) and the largest 192 feet (58.5 meters). A smattering of larger, more nimble cruiser/racers participate, but the majority are luxurious custom or semicustom cruising boats of various vintages. Finding ways to even out the competition and, most important, keep the boats from running into one another are the primary objectives of race managers. To that end, management traditionally used a homegrown handicapping system called the Bucket Rule, which assigned each yacht a starting time based on her predicted speed over the course (also known as a “pursuit start”), with the slower yachts starting first. The hope was that the fleet would converge near the finish and give the slower boats a shot at a trophy. In the name of fun, rules would sometimes penalize regular winners or make it off-limits to win two days in a row, just to spread the excitement. Always in play under the surface, though, was the prime directive: avoiding collisions among boats that handle more like supertankers than nimble race boats. “There’s a reason they don’t have dogfights with 747s,” Halsted quips. 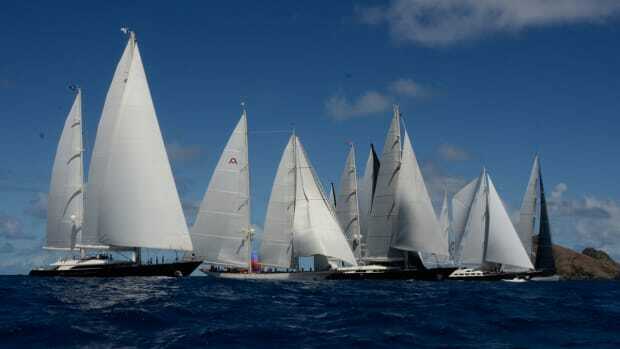 This year marked the first that a new rule was employed at the Bucket and several other superyacht regattas. 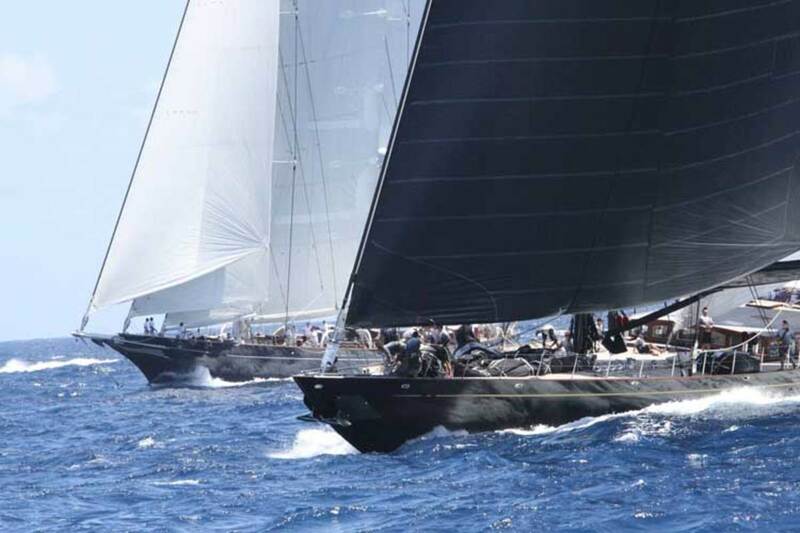 A collaboration between the SuperYacht Racing Association and the Offshore Racing Congress (ORC) led to a new handicapping system called ORC SuperYacht, or ORCsy. Bucket organizers believe it offers a more accurate velocity prediction program. There surely were some who were unhappy with their handicaps, but by and large, owners interviewed were happy with the results. The fleet came together at the end of the races, and no one crashed. Mission accomplished. A crewman on METEOR trims for speed. The Bucket’s defining mantra always has been “Win the Party,” and there were plenty—yacht hops, dock parties with live music and an elegant owners’ soiree on the beach at the Eden Roc. 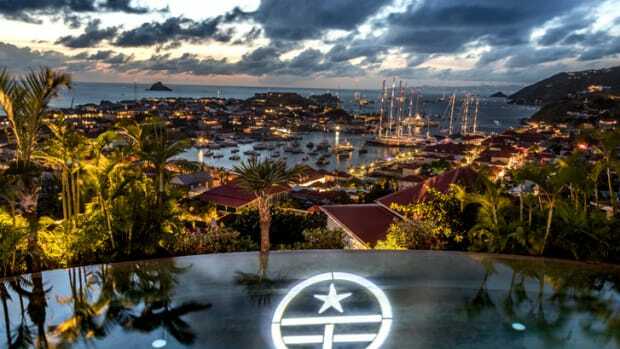 Perini Navi hosted elegant parties at its villa overlooking Gustavia each night. The event also saw flyovers and an air show by vintage aircraft from the Texas Flying Legends Museum. But the focus of the event still was the racing, and packing 35 A-plus-type owners on the same patch of ocean, aimed for the same place, could never be a laid-back affair. It’s more like win the race, then tackle the party. Add to the mix a healthy dose of uber-competitve America’s Cup and grand prix skippers, tacticians and crew scattered about the fleet, and there’s always the potential for trouble in tight right-of-way situations. 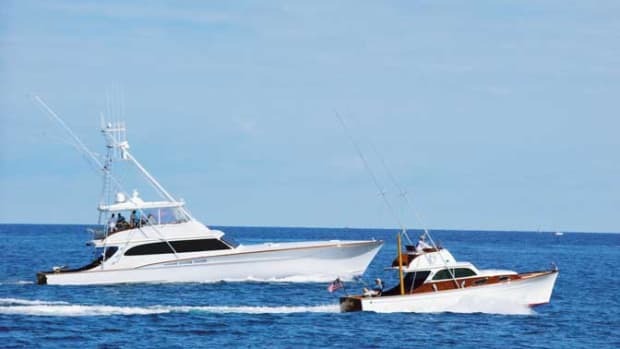 The Bucket requires a minimum 40-meter (131-foot) separation between boats at all times, and sponsor Pantaenius insurance supplies each competitor with a range finder to help enforce the rule. 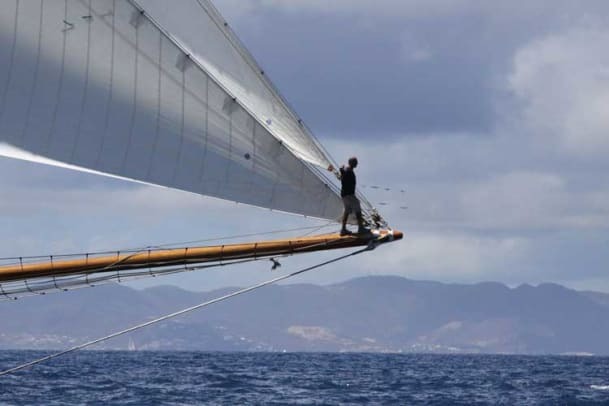 Close crosses are to be expected, but when things get dicey, hailing another boat on VHF to declare intentions or ask a favor is not uncommon—something you’re not likely to see on any conventional racecourse. Meyers campaigns an all-out maxi racer called Numbers, which he says he prefers to racing Meteor, but he has fun in the super-yacht regattas, and there are benefits. “I don’t get to take a nap on Numbers as I did on Meteor today,” he says.